This introduction to Atomic and Molecular Physics explains how our present model of atoms and molecules has been developed over the last two centuries both by many experimental discoveries and, from the theoretical side, by the introduction of quantum physics to the adequate description of micro-particles. It illustrates the wave model of particles by many examples and shows the limits of classical description. The interaction of electromagnetic radiation with atoms and molecules and its potential for spectroscopy is outlined in more detail and in particular lasers as modern spectroscopic tools are discussed more thoroughly. Many examples and problems with solutions are offered to encourage readers to actively engage in applying and adapting the fundamental physics presented in this textbook to specific situations. 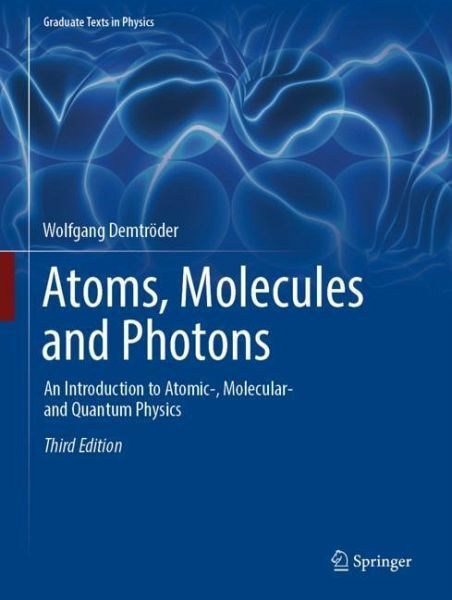 Completely revised third edition with new sections covering all actual developments, like photonics, ultrashort lasers, ultraprecise frequency combs, free electron lasers, cooling and trapping of atoms, quantum optics and quantum information. Prof. Dr. Wolfgang Demtröder worked as research associate in the US and at University Freiburg. He is professor emeritus at University of Kaiserslautern, Germany. His research focuses on laser spectroscopy and molecular physics. His textbooks on laser spectroscopy and on experimental physics are considered classics in the respective fields. 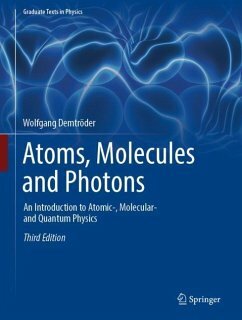 Introduction.- The Concept of the Atom.- Development of Quantum Physics.- Basic Concepts of Quantum Mechanics.- The Hydrogen Atom.- Atoms with More Than One Electron.- Emission and Absorption of Electromagnetic Radiation by Atoms.- Lasers.- Diatomic Molecules.- Polyatomic Molecules.- Experimental Techniques in Atomic and Molecular Physics.- Modern Developments in Atomic and Molecular Physics.- Chronological Table for the Development of Atomic and Molecular Physics.- Solutions to the Exercises.